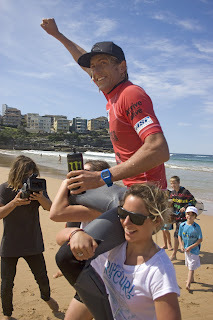 Owen Wright dominated today to win the Dripping Wet Pro Junior. The win makes Owen undefeated in 2009 pro junior events and he has also claimed the 2009 ASP Australasian Pro Junior Championship. Massive effort, congratulations to Owen and the entire Wright clan. “I feel awesome,” he said with a massive smile on his face.